Dr. Sean Freeman, a facial plastic surgeon in Charlotte, North Carolina since 1988, is one of the few double board-certified, fellowship-trained surgeons who specialize in facial aesthetic surgery throughout the Southeast. His inquisitive nature, specialization in facial plastic surgery, and experience allow him to continue to contribute to the knowledge in his chosen field. In choosing Dr. Freeman for your facial aesthetic surgery, you can be sure you are choosing a surgeon who will select a safe, modern approach to reaching your goals. Dr. Freeman is certified by the American Board of Facial Plastic and Reconstructive Surgery and the American Board of Otolaryngology (head and neck surgery). He has exclusively practiced facial plastic surgery since 1988. To benefit from Dr. Freeman’s many years of experience, you can request your consultation online to receive $25 off your consultation fee or call his office at (704) 543-1110. 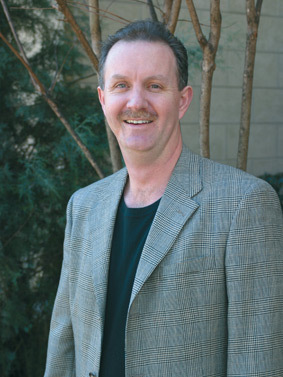 Dr. Freeman has authored many chapters in peer reviewed journals and books in his field. These include book chapters on blepharoplasty (eyelid surgery) and face lift surgery, among others. In 1996, he published one of the first articles on the use of the carbon dioxide laser in the book, Facial Plastics Surgery Clinics of North America. He was also one of the pioneers of minimal incision techniques and, also in 1996, authored one of the first papers on the subject entitled “The Role of Endoscopy in Facial Plastic Surgery.” Dr. Freeman was the associate editor and contributor to one of the first books published about this new area, entitled “Endoscopic Facial Plastic Surgery,” published by Mosby in 1997. He has authored many other publications on cosmetic lasers and minimal incision techniques. His published works include areas where he has been a true innovator in his field. In 1997, his publication entitled “Endoscopic Malar Pad Lift” in Facial Plastics Surgery Clinics of North America propelled the ability to improve the results of facelift surgery in the midface. In 2000, Dr. Freeman introduced the “Transconjunctival Lower Lid Blepharoplasy with SOOF,” which described a new technique for improving the results of lower eyelid surgery. Dr. Freeman’s early adoption of minimal incision facial aesthetic surgery and his years of experience have made him a sought-after teacher and lecturer in the United States and overseas. His laser expertise has been recognized by his peers. He is the past Medical Director of Hemangioma Newsline and has taught physicians over the years how to manage children with hemangiomas and vascular malformations. He helped organize and teach the first several courses on endoscopic surgery given by the American Academy of Facial Plastic Surgery to aid in enlightening their physicians about the nature of minimally invasive facial plastic surgery. His reputation extends overseas as well in this area of facial plastic surgery having been a guest lecturer on endoscopic facial plastic surgery in Germany and Spain. His innovative new techniques have also made him a valued speaker. He has taught multiple courses in the USA as well as Europe on his novel approach to improving the appearance of the lower lid and midface: the Transconjunctival Lower Lid Blepharoplasy with SOOF. Dr. Freeman is committed to patient education, and he routinely answers user-submitted questions on the popular plastic surgery forum, RealSelf.com. Dr. Freeman specializes in rhinoplasty and is considered one of the foremost rhinoplasty specialists in the Southeast. His extensive surgical experience in cosmetic facial surgery has resulted in an operative experience that is difficult to match. He considers rhinoplasty to be the most artistic of all the procedures he performs and prides himself on providing naturally beautiful results that blend with the patient’s other facial features. Should I get a nose job in Charlotte NC? Is plastic surgery overseas as safe as local Charlotte NC surgeons? Soof lift surgery was developed in Charlotte NC, so why travel? See the results that Dr. Freeman has achieved for his patients. Find the answers you’re looking for in Dr. Freeman’s Frequently Asked Questions.